The rate of heat loss per square metre for a temperature difference of 1 degree Kelvin, or Celsius, between the interior and exterior. What is the "greenhouse" effect? Clear glass will allow heat from the sun to enter the building, contributing significantly to internal temperatures. What standard are the units made to? Is there a date from which all units must be made to EN 1279? How can I improve the U-value? 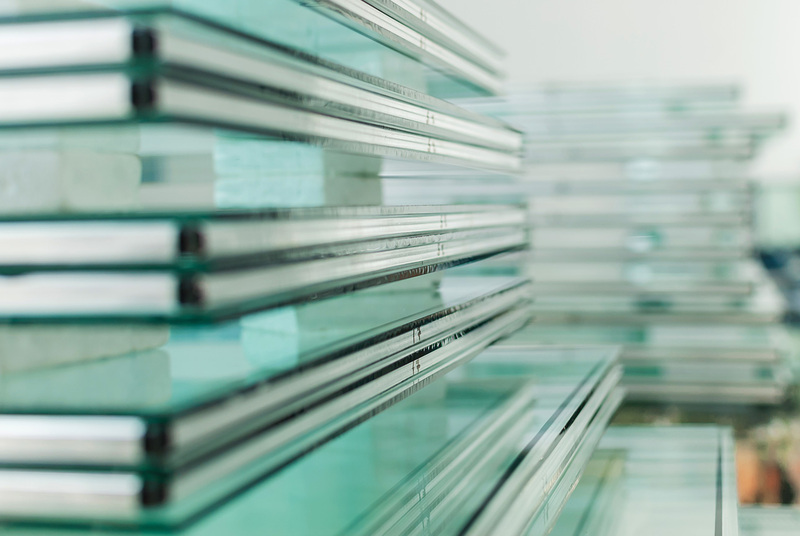 By using either a hard or softcoat low-e glass with Argon Gas in the cavity if necessary. Can heat be kept out? Solar heat gain can be reduced by using a solar control glass. Does the thickness of glass improve the insulation value? What cavity widths are available and what colours? 4mm, 6mm, 8mm, 10mm, 12mm, 14mm, 16mm, 18mm & 20mm. Warm Edge Spacer GREY or BLACK. Aluminium spacer SILVER, WHITE, BRONZE, BLACK & GOLD. Some cavities and colours are only available on request. If I do not specify a spacer colour, what will I get? Default spacer colours are silver for aluminium & black for warm edge. Are there inserts available to go into the cavity? Georgian Bar - Straight or curved in White or Brown, 25mm/18mm × 8mm. Gold Victorian Grill - Please submit your enquiry. Duplex Bars - The pitch, the dimension of the flat of the bar to be applied is required. Duplex bars are only incorporated in units that are constructed toughened glass to minimise the risk of thermal fracture. A self adhesive lead strip is applied to the inner and outer surfaces of the outer leaf of the double glazing unit. In squares, diamonds and colour film designs, details with any necessary drawings and colour references are required. Standard designs are available. Can I have a cat flap in a double glazing unit? Yes, buy a cat flap with a round hole for fitting into glass.